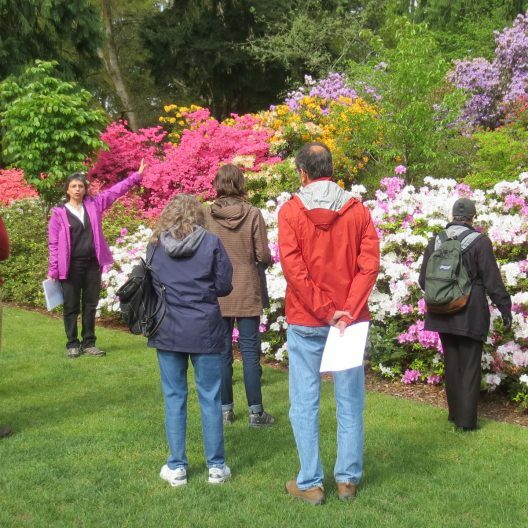 The Washington Park Arboretum holds a world class collection of woody plants that can be explored independently, through self-guided tours, arranged tours, or through the many classes and activities hosted at the site. 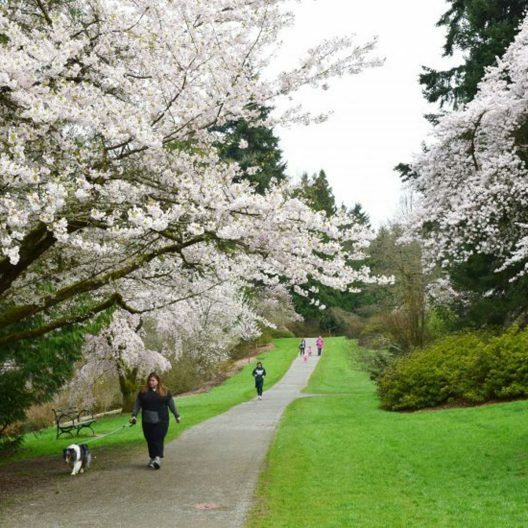 All parts of the Washington Park Arboretum, with the exception of the Japanese Garden, are open to the public and are free of charge. 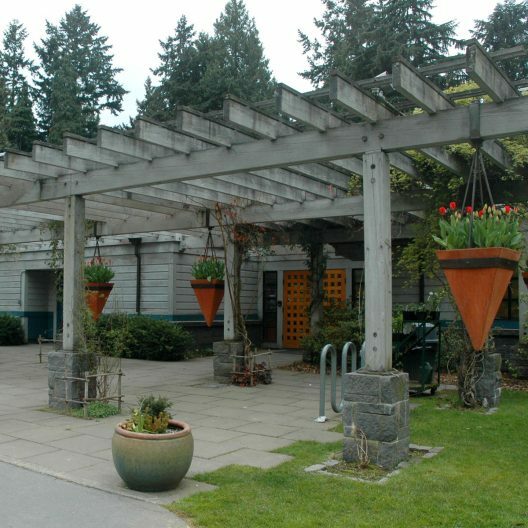 The Graham Visitors Center has maps, restrooms, staff and Arboretum Foundation offices, a gift shop and rental venue. 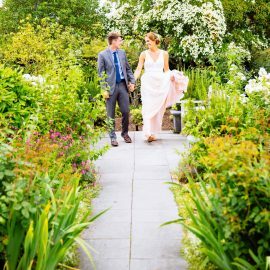 All year round you’ll find something of interest along the trails that wind through 230 acres of gardens, natural areas and wetlands. Limited parking is available at the Graham Visitor Center and along Foster Island Drive E. We encourage visitors to use public transit. 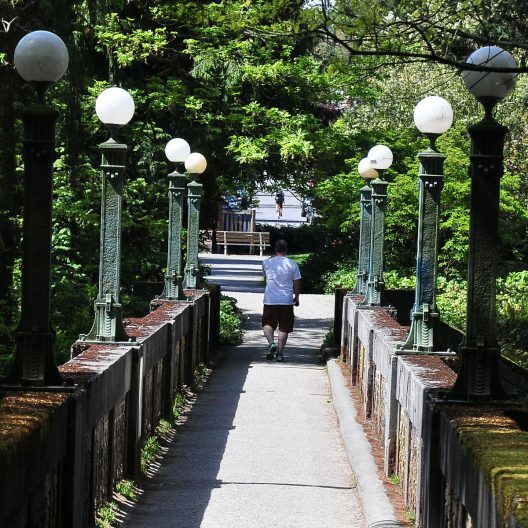 Take the Washington Park Arboretum TRAM TOUR and visit six continents in an hour! Learn about plants from nearly 100 countries! Discover the Arboretum’s Connection with horses. 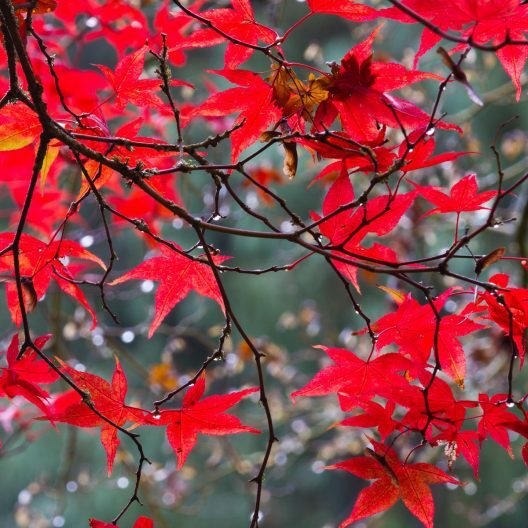 Learn which tree gave us the first type of painkiller. Sample a 16th century beverage made from the root of a woody plant. $20 per person, adult or child (babe in arms no charge), Maximum 12 passengers. Reservations required, walk-ups welcome for cash only on a space-available basis. Preferred Tour Date (example: Sat. April 20) based on dates in the schedule below. You will be emailed a confirmation letter. Once purchased, tickets can not be refunded, but can be rescheduled on a space available basis. Do I have to purchase tickets in advance? Booking in advance is highly recommended. Please book early to maximize your chances of getting the day and time you prefer. Tickets can be purchased with a Visa or MasterCard up to 48-hours in advance. Tickets can also be purchased day of for cash only on a space available basis. Are there bathrooms along the way? No. Public Restrooms are available at the beginning of the tour in the Graham Visitors Center. Where does the Tour depart? Washington Park Arboretum, 2300 Arboretum Drive East, Seattle, WA 98122. Check in at the information desk located in the Graham Visitors Center anytime after 10AM. Tours will begin boarding about 5 minutes before departure.